It seems ridiculous enough that Supergirl had to “prove itself” even once, let alone on a new network, but it’s equally unusual that broad network shows from CBS makes the leap to such a vastly different demographic as The CW. The DC drama definitely found stronger footing in the back half of its first season, and there’s clearly some effort to simultaneously re-pivot and trot out Super-distractions with tonight’s premiere, but “The Adventures of Supergirl” has much more solidity than they give themselves credit. Sure, there’s a few more obvious changes, including an amusing reference to the new DEO set logistically making far more sense than the desert compound, and some effects seeming a bit less polished (albeit very ambitious). Others seem abruptly jettisoned, as in Kara and James cooling their fledgling romance; perhaps a victim of The CW introducing one-too-many new layers to the series. At the very least, it struck me during Kara’s dress montage that Supergirl had managed to hold onto its sugary sense of poptimism; useful in contrasting itself against new neighbors Arrow and the increasingly-less joyful Flash. Though, if anyone could use some super-speed ice cream. 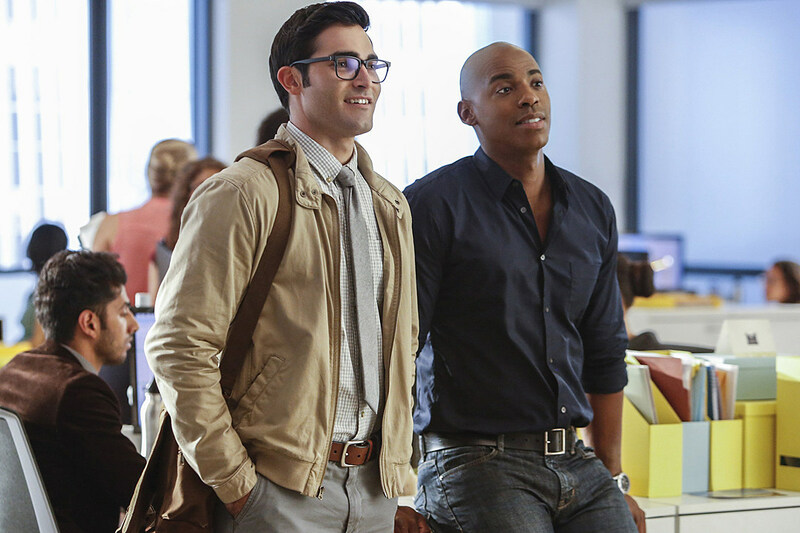 The most tongues will inevitably end up wagging over Tyler Hoechlin’s Superman, and “The Adventures of Supergirl” definitely did right to keep the focus on Kara, while her famous cousin just kind of … shows up, and makes the scene extra-handsome. The downside to that approach leaves little room for Hoechlin to form much of an impression as Clark or Superman, acting primarily as a cipher for Kara to figure out her own work-life balance. We need a more hopeful Superman anyway, and Hoechlin has the charisma in spades, but I found myself investing in the more independent moments, like a hint of conflict between Superman and J’onn. 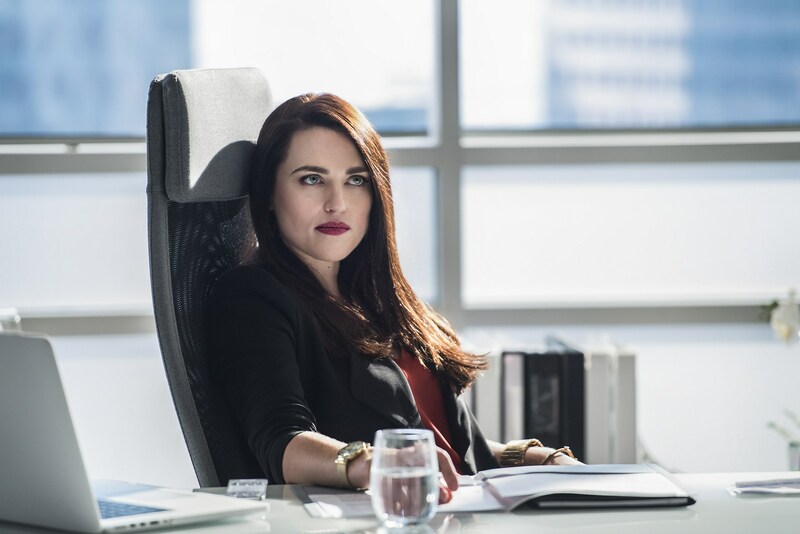 Our other major addition to the series sees Katie McGrath in the role of Lex Luthor’s sister Lena, running very parallel to Kara as someone looking to escape the legacy of their famous family. A bit on the nose, perhaps, but on the nose generally works for Supergirl, and the idea of a new female foil was well-woven into Kara’s own struggle to choose a career. The timing works out with Season 2 imminently saying goodbye to Calista Flockhart’s Cat Grant as well, and tonight definitely had a strong showing of the closeness fostered between Cat and Kara last year. Naturally, the seeds are planted for Cat to pursue her own antidote to complacency elsewhere, but it doesn’t hurt to have Kara’s journalistic* ambition sharpening the role of CatCo in the series, either. *Let’s quietly ignore Kara choosing a career in journalism without any kind of formal education (he said, writing about Supergirl from his couch), as it’s no more crazy than whatever Wile E. Coyote plan of John Corben’s to kill Lena Luthor. I get that aerial drones and collapsed building were meant to occupy the Super-cousins, but bombing a space-shuttle launch was needlessly elaborate in the first place. When in doubt, stick with "needlessly handsome." Producers have since clarified of the move to The CW that Supergirl won’t be folding into the Arrow or Flash universes just yet; rather keeping firmly as its own series, and that definitely excuses a bit of heavy-handedness tonight. Some sentiments are more troublesome to state aloud (last year about building the Supergirl half of her life, this year about Kara), but for the most part, Season 2 is very much off to a flying start. Supergirl was always a better fit with The CW’s voice, and there’s a lot of confidence to be had with the instantaneous command of tone here. Let’s see, Ms. Tessmacher, Lena’s line about the safest way to travel … what other old-school Superman references am I missing? While I’m at it, heavy trolling on the Superman characters we’re not likely to see, between Perry White, Lex Luthor and Lois Lane. I love the scene of Kara and Clark enjoying their first mutual save, and greeting their fans, but HELP THE PEOPLE IN THE GOT DANG SHUTTLE, YA JERKS! Glad to hear I wasn’t the only one curious about Tyler Hoechlin playing 12 years older than Melissa Benoist. Gotta love how eager Brenda Song was to start naming bad guys. Supergirl Season 2 will return October 19 with “The Last Children of Krypton,” airing at 8:00 P.M. on The CW.